Are you looking for Minecraft perler beads to make? 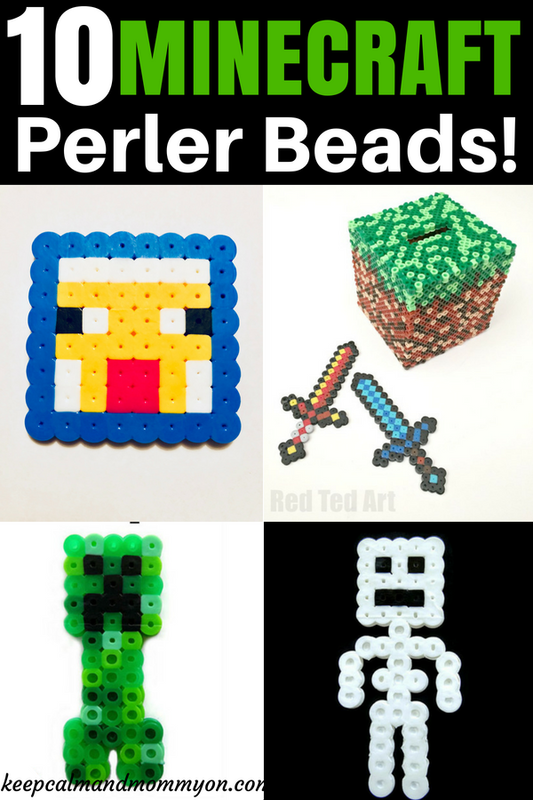 Are you looking for perler bead patterns that are not only fun, but easy to make? You will love these 10 Minecraft perler beads! Perler beads are so much fun! My kids will literally spend hours creating perler bead creations! This is a great craft for rainy days! And, not only are they fun, but they are also beneficial. Making perler bead patterns is a great way to strengthen fine motor skills. Handling and placing these small perler beads on the perler bead board requires concentration and focus. Creating perler bead patters also encourages creative thinking. The sky is the limit! 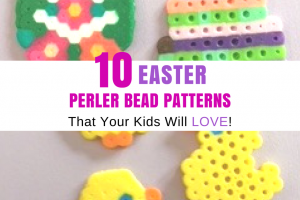 Your child can either follow a perler bead pattern, or create their own! 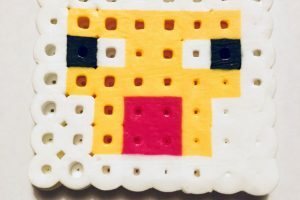 My kids love to make many different kinds of perler bead designs, but they especially had fun creating Minecraft perler bead patterns! Do your kids play Minecraft? It seems like most kids are familiar with Minecraft and love to play it. Minecraft is a game that allows them to build things, grow things, etc. Some of the characters on Minecraft are especially easy to recreate using perler beads. These are ten of our favorite Minecraft perler beads. As you can see we made our square Minecraft perler bead patterns using both regular perler beads and perler biggie beads. Biggie beads are great for younger children because they are bigger and easier to handle. You can find the patterns to make these Minecraft perler beads at Minieco. You can find a great Minecraft zombie pattern at Braceletbook. This zombie looks exactly like the zombie on Minecraft! He will make a great addition to your perler bead patterns. No Minecraft perler bead collection is complete without a perler bead creeper! 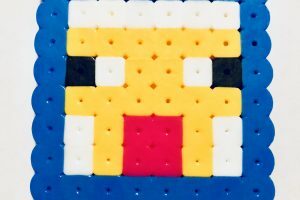 You can find out exactly how to make this perler bead creeper at Brain Power Boy. Not only will the creeper be a hit with your Minecraft fans, but it’s incredibly easy to make! This skeleton Minecraft perler bead pattern is super easy to make! You can find out exactly how to make it at Brain Power Boy. Isn’t it a cute little skeleton?! Steve is the main character in Minecraft, so you definitely need to make him! 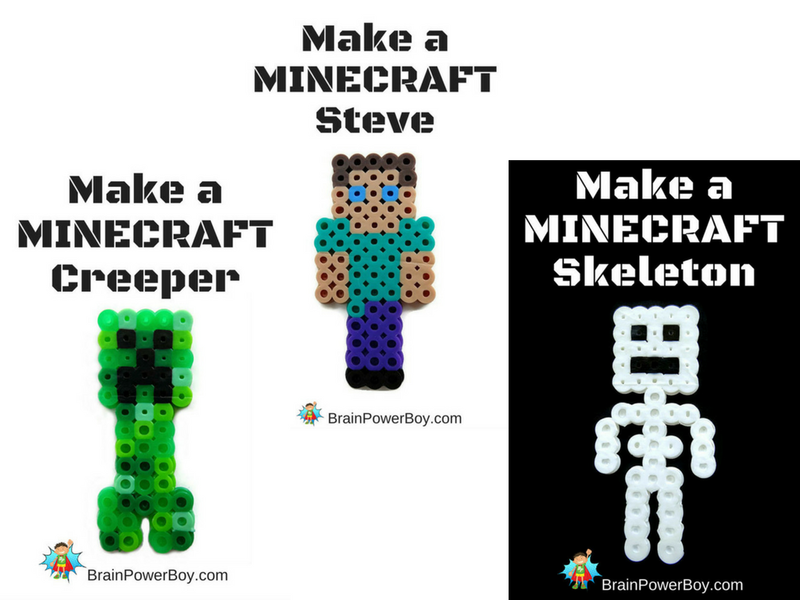 Brain Power Boy has a great Minecraft perler bead Steve! 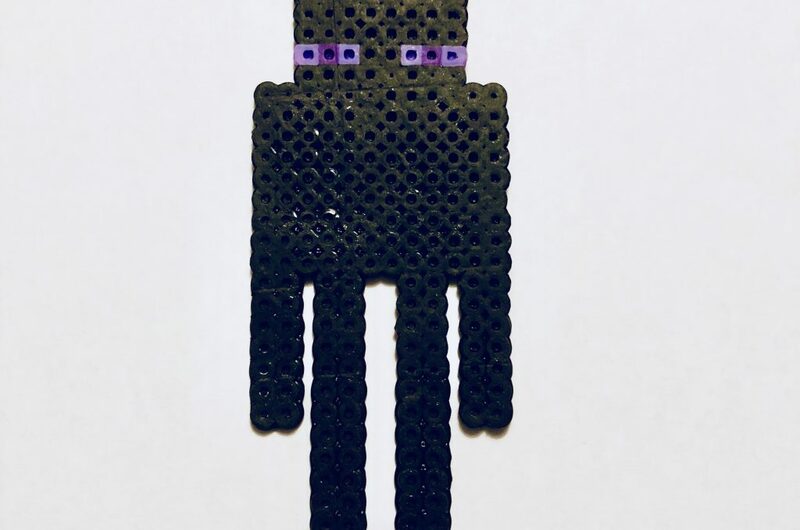 While the square perler bead patterns are lots of fun to make and collect, you have to also have a full sized enderman! 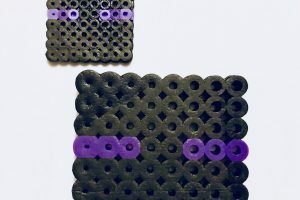 You can find a great enderman perler bead patter at braceletbook. What good is Steve without the diamond armor?! You definitely need this to fight the enderman, skeleton and zombie perler beads! You can find out how to make diamond armor at Kandi Patterns. 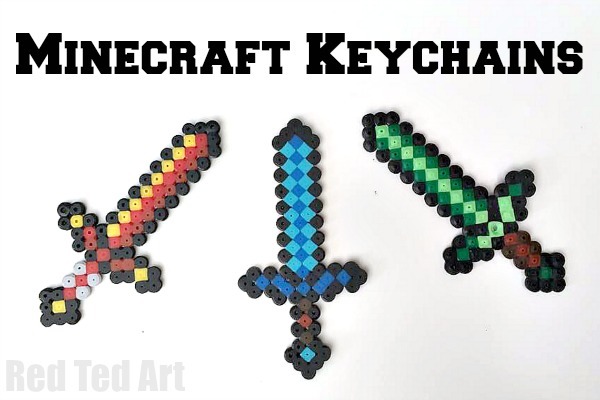 In addition to the armor, make some Minecraft Perler Bead swords! You can find out how to make these swords at Red Ted Art. And, they also show you how to make these cool swords into keychains! They would be great to use as backpack zipper pulls! 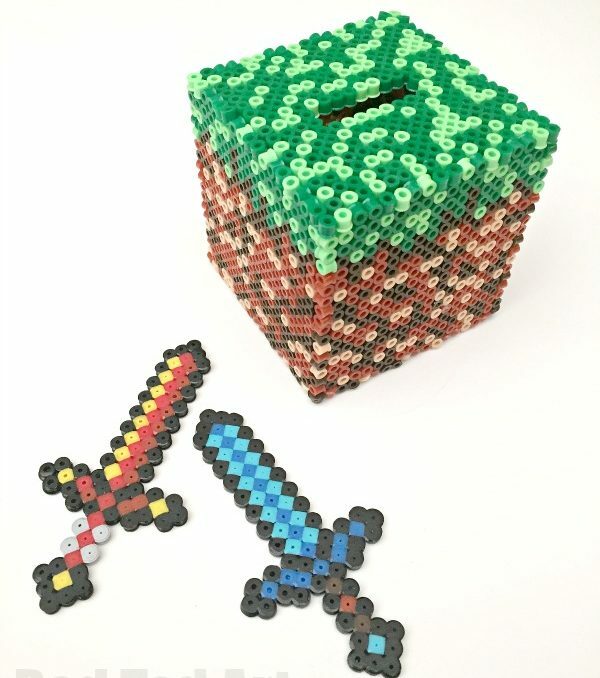 Another well know Minecraft piece is the money box! Red Ted Art has a great money box minecraft perler bead pattern. This is a great addition to your Minecraft perler bead collection. These minecraft figure squares are different than the ones listed above. You can check out these additional perler bead patterns at Made Out of Things. Do your kids love to make perler beads? Which ones are their favorites? I hope they love making these perler bead patterns as much as we did! « Under the Sea Finger Painting Ideas!